Ok, so I had my baby and she's a little over 3 months old now and I definitely neglected my blog because of the craziness I was adjusting to but everything is stabilizing quite nicely. I definitely have not been prioritizing my search and trial of natural beauty remedies lately since I'm not focusing on myself too much right now lol, but I am still occasionally searching for all natural tricks to try but mostly for my baby! One thing I am doing is breastfeeding/pumping so I want to make sure I avoid toxic ingredients. I got a bit of hyperpigmentation during my pregnancy and I wanted to see if castor oil would help, I also started getting more breakouts postpartum and wanted to see if castor oil would indeed help with this as I read it could. I was only using a combo of coconut oil and grape seed oil to moisturize my skin but noticed my skin was dry and I know that hormones can really pull a number on a woman postpartum and especially while breast feeding so my skin is still not in my pre pregnancy state yet :( but right now my baby is my priority so I'll focus more on myself once I finish breastfeeding. For now, I want to see if I can use some natural remedies to help out my complexion a bit since I am still a tiny bit vain, but in a considerate way lol. Now the coconut oil and grape seed oil was failing to really pack in the moisture I needed even though it worked great for me before, and saw my skin flaking a bit since It was getting a bit dry. To be clear, I definitely don't have acne, I have more breakouts than usual, but its really not severe, i'm just so used to having clear skin so lately my skin problems have been annoying me. I read that dry skin can make breakouts worse so I really wanted to bring in something natural that could really moisturize my skin. I had read that castor oil could also help with problem skin since it can help remove impurities so I figured I had nothing to lose. For all of you out there that know what castor oil is, you're probably thinking that I'm crazy to even consider putting castor oil on my face of all places! If you have no idea what castor oil is, it's basically a clear and pretty emollient PLANT derived oil that is pretty thick in texture. I definitely thought that it could make my breakouts worse but decided to try it anyways, it's not like I had a hot date around the corner with a hot crush since those days are over for me lol (I've been married for going on 3 years now). I was pretty pleased with the results! I only used it once a day after my shower and I would use about 1 large pea size amount for my whole face and I also started doing one clay mask a week which also helped, I'll post an all natural homemade clay mask recipe soon enough. It definitely didn't make my blemishes worse and actually reduced them. My skin was pretty moisturized and the flaky patches were gone. I've also noticed my hyperpigmentation fading so I'm super happy with what this oil has done for me. Castor oil is said to do wonders topically, and It definitely worked for me. Some people ingest it for laxative purposes, I've never done this nor do I plan to. 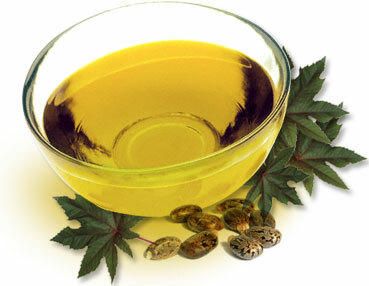 Apparently it can also help induce labor if ingested, this is why avoiding castor oil when pregnant is wise. Another remedy is apparently to reduce the size of tumors which is interesting. I tried placing a tiny amount on my eyelashes a little while back as it apparently helps give lashes a longer thicker appearance, but I didn't do it long term since it was a bit sticky for my liking and had found a product I liked which you could read about here. All in all, a great oil to try!